Jeff has been with Andersen Capital Partners since 2004 and has primary responsibility for loan origination and management of the firm’s lending portfolio. Prior to joining the firm, Jeff was a loan officer with Comerica Bank where he assisted clients in obtaining financing for commercial real estate projects in both California and Arizona. Jeff currently serves as President of the Arizona Private Lenders Association and has served on the Association’s board of directors since its founding in 2009. He is also the responsible individual for Andersen Capital Funding, Inc., the firm’s mortgage banker. 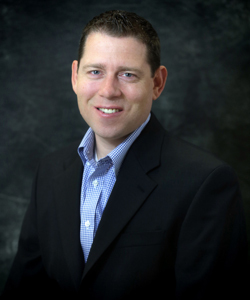 Jeff holds a Master of Business Administration from Arizona State University and a B.S. in Business Management from Brigham Young University.